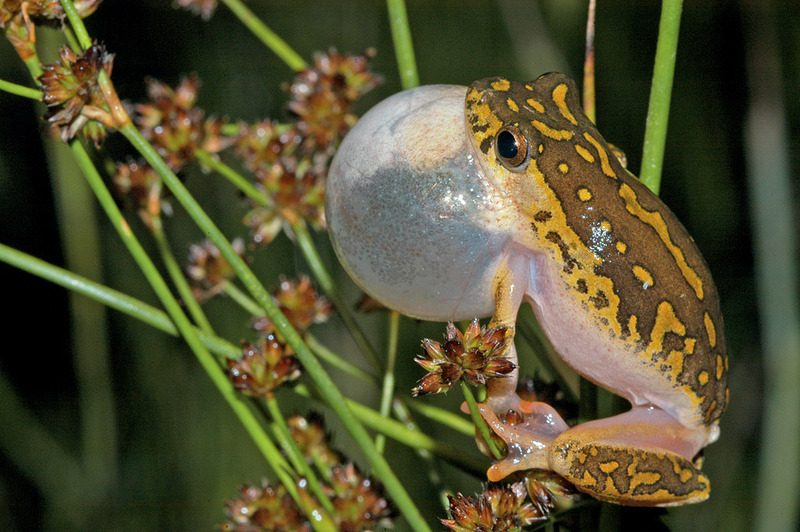 Frogs are more often heard than seen, and calling is critically important for their survival. Calls serve four mating purposes and different sounds are produced for each: to attract females of the same species to a breeding site, to separate males from one another, to signal release from amplexus (mating), and to alarm and discourage predators. 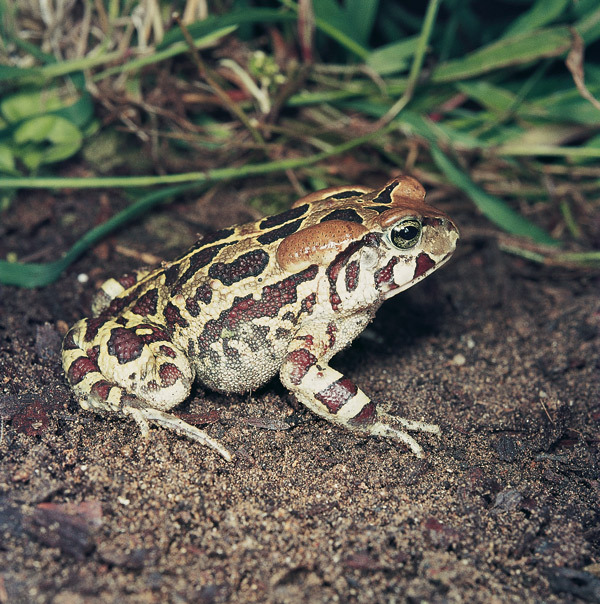 Frog calls are closely associated with the annual breeding cycle and they are a positive sign of the advent of spring in summer-rainfall areas, where breeding usually takes place after the first thunderstorms. In winter-rainfall areas of the Western Cape, most species mate at the end of winter when ponds and streams are full and the landscape is saturated. The duration of a mating season may vary considerably and in warmer and wetter climates, calling and breeding continue for periods of up to nine months of the year. In regions with erratic rainfall, frogs need to exploit opportunities as they arise; the species that do so often use temporary water bodies, where they gather in large numbers to call, mate and lay eggs in a short period, sometimes in only a single day. Listening to frog calls is one of the most reliable ways of identifying a species when out in nature. The new edition of Frogs of Southern Africa: A Complete Guide features the calls of 156 of the 169 species found in the region. The calls can be accessed by means of QR codes printed in the book, allowing for the recordings to be played instantly while reading about each species. To read the codes, you will need a smartphone or tablet, along with a QR Code Reader downloaded from the Google Play or App stores. You can also listen to the calls and download them here - either as single files or in one go as a zip file. The calls are saved as mp3 files and can be played on mp3-compatible equipment or devices. Copyright exists in the sound recordings and they may not be used for commercial purposes. The copyright holders are: F. Becker, P. Bishop, R. Boycott, H. Braack, M. Burger, A. Channing, M. Cherry, W. Conradie, M. Cunningham, A. de Villiers, L. du Preez, A. Elepfandt, M. Jennions, L. Minter, D. Moyer, N. Passmore, M. Picker, M. Pickersgill, B. Sternstedt, R. Toms, A. Turner and L. Verburgt. By definition, spectrograms are visual images of sounds - they let you 'see' the sound of the frog's call. They are simple graphs that show you the frequency, duration and pulse of a call, and how loud or soft each part of the call is. These parts of the call appear as lines, streaks and dots on the spectrogram. The density of the marks reflects how loudly or softly each part of the call is made. Dense, black marks indicate loud sounds; lighter grey patterns indicate softer sounds. In a way, spectrograms are more precise than words and, with some practice, are easy to read. The vertical axis measures the frequency of the call. Frequency is determined by the wavelength of the sound and is measured in kilohertz (kHz). The lower the pitch of a call, the closer the call is to the bottom of the graph. Conversely, the higher the pitch, the closer to the top of the graph the marks will appear. Many frog calls are made up of a mixture of high- and low-pitched sounds and their component parts are therefore spread over the height of the spectrogram. The horizontal axis reflects the sound over time, which is measured in seconds or fractions of a second. The length of each part of the call and the duration of the whole call are shown horizontally across the width of the spectrogram. A long, slow call stretches across the width of the spectrogram, a short, sharp click appears as a spot or narrow vertical strip. A protracted, pure flute-like tone extends unbroken across the spectrogram. A call that is made up of short, closely spaced pulses or vibrations appears as a series of short marks. 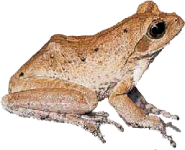 The call of the Western Leopard Toad, shown in the spectrogam on the right, can be described as a long drawn-out snore with the pitch ranging from low (0 kHz) to high (6 kHz). At the lower end of the graph, the dense, dark marks indicate the louder part of the call, while the thinner, lighter lines represent softer notes.